Secretary Golden Apple Lapel Pin. Metalic tack back. 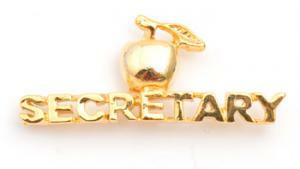 Secretaries are the golden glue of a school, so show them you care with this great pin!